By Jason Romano — WELCOME TO THE WINDY CITY! The Chicago Chapter of the Fulbright Association has planned a new year of exciting events. 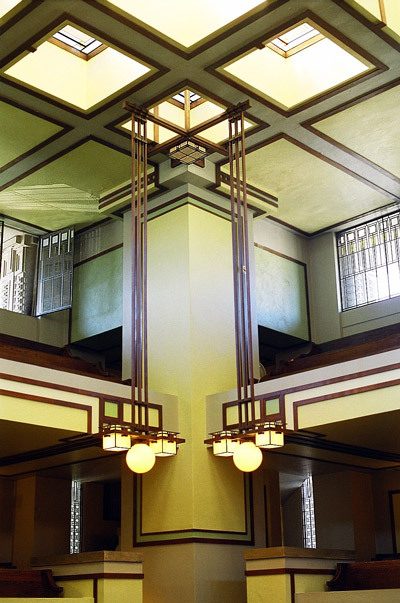 To kick off the year, we ask you to join us for the Frank Lloyd Wright Chicago Architectural Tour and Luncheon on Saturday September 29, 2012 from 12 to 2 pm. 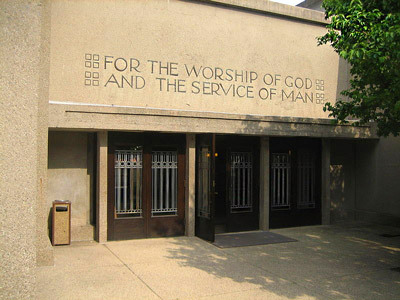 In addition to welcoming our newly arrived Fulbrighters as well as catching up with continuing students, guests will enjoy a 45 minute guided tour of Unity Temple, Wright’s modern masterpiece, located in historic Oak Park, a vibrant neighborhood located just outside of Chicago’s city limits, a short train ride from downtown Chicago. This is an excellent opportunity to get to know one another, meet the members of the Chicago Chapter of the Fulbright Association, and to see one of the many exciting neighborhoods that the Chicagoland area has to offer. Following the tour, guests are encouraged to visit other historic sites in the neighborhood such as Frank Lloyd Wright’s studio and home, the Ernest Hemingway House, and the Pleasant Home. Please visit www.visitoakpark.com for an area map. 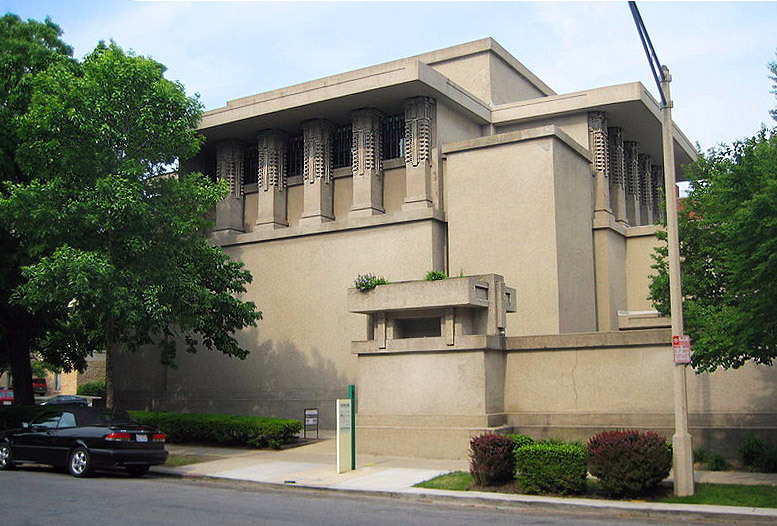 Unity Temple is located at 875 Lake Street, Oak Park, Illinois, and it is accessible via the Oak Park stop off of the CTA’s Green Line. There is free street parking available along the viaduct; there is also metered parking on the streets as well as $6 all day parking available at various parking structures. Please R.S.V.P using the online form or email fulbrightchicago@gmail.com by Tuesday September 25, 2012. If you are a Fulbright alum please include your name and country where you had your Fulbright. The cost of the tour and luncheon is $25 (please bring cash or check). If you are an international Fulbright student/scholar please include your name, country of origin and school that you are attending. It is FREE of charge for Fulbright students/scholars. If you happen to reserve a spot and do not come, you will be charged the cost of the event, $25. The Chicago Chapter of the Fulbright Association needs to pay in advance and there are no refunds if people do not show up. This entry was posted in Fulbright and tagged Architectural Tour, Chicago, Chicago Chapter of the Fulbright Association, Fall Welcome, Frank Lloyd Wright, frank lloyd wright chicago, Fulbright, fulbright association, fulbright students, Oak Park, Unity Temple. Bookmark the permalink.